Welcome to Windowfix – where you will find a quality selection of windows, doors and conservatories, all of which are made-to-measure and installed for optimum performance. As the local specialists in supplying and fitting high quality double glazing in Rugby and Nuneaton, why go anywhere else when you are looking to enhance your home with beautiful new windows? We are committed to delivering a service which is based on quality, which is why we have established a leading reputation amongst homeowners in Rugby, Nuneaton and across surrounding counties. A home which is warm, comfortable and welcoming throughout the year is only a few steps away when you invest in our high end double glazing for your property. 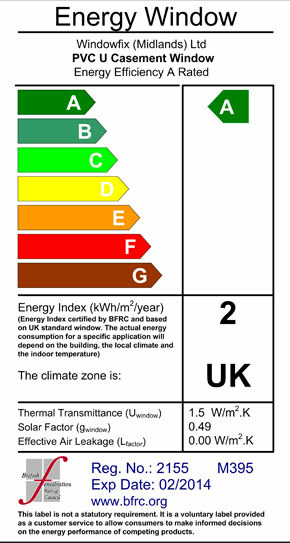 We are BFRC registered installers which ensures all of our windows are rated according to their energy rating, and because we are committed to providing the very best for our customers we only supply energy rated 'A' double glazing in Nuneaton and Rugby. This is the best rating you can get for energy efficiency and aside from the obvious financial savings, they are also proven to keep your home warm in the midst of winter. Just one of the reasons why so many local homeowners choose Windowfix to provide their double glazing. If you are looking for double glazed windows which will perfectly complement your property, then get in touch with Windowfix. 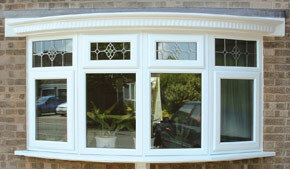 We supply high-end windows, doors and conservatories for your home in Rugby, Nuneaton or anywhere across the Midlands. For more details please call us on 01455234253. See how your ideal conservatory design will look integrated with your home using our bespoke 3d software.